ECLIPSE is an ONC certified Complete EHR licensed to over 37,000 users across more than 7,000 Chiropractic, Physical Therapy, and Medical facilities throughout the United States on their LAN’s & in the cloud. 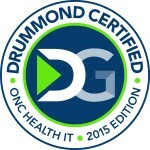 Practices range from single practitioner to multidisciplinary, multi-site practices with dozens of providers and 200+ networked computers that bill millions in revenue monthly. Multi-faceted documentation capabilities allow you to create SOAP, bundle it into a password protected PDF for any date range – along with other documentation – and submit it electronically as required with bills or email it to an attorney. HIPAA compliant KIOSK functions help keep staff efficient by allowing patients to enter PHI and subjective complaints. Accounting functions allow any third-party (e.g. HMO, PPO, Major Medical) coverage to be handled easily and – in most cases – automatically. Sales tax, late charges, inventory, etc., are all interactively handled and can be optionally included or excluded from claim forms by insurance carrier. Appointment scheduling along with email reminders, text messaging, detailed sort & search criteria, fast service entry, electronic claims transmission & remittance with sophisticated error-checking, and split account/billing ledgers are just a few standard features. Custom forms allow you to automate standard payer documents such as HMO certification requests. And since every facet of ECLIPSE was developed by our programming team, billing, scheduling, history, SOAP, document imaging, and other features all work together seamlessly. In 2012 & 2013, ECLIPSE® once again topped independent surveys by multiple state associations. Which is what you might expect from the company that created the “zero-in” user interface, invented case management, first integrated SOAP & billing, introduced the very first Windows software for healthcare providers, and (in 2013) introduced Real Time Data Flow to eliminate competition for a patient’s chart in your office. ECLIPSE is a registered trademark ® of MPN Software Systems, Inc. Copyright © 1985 - 2019 MPN Software Systems, Inc.